Wifestyles Blog & Photography: Eighteen Days! Eighteen Days until we're on our way to a tropical paradise! I don't think I've ever been more excited for a vacation! I mean negative temps & endless snow... NOT FOR ME! I tell my husband just about everyday I either want to move or that I was born in the wrong state. I literally can NEVER get warm! No matter how many layers or heated blankets I'm still cold somehow. Ahhhh... this countdown is the only thing keeping my sanity! Winter Blues are FO-real! So today I thought I would share some of my beach essentials & outfit inspirations! How cute is this outfit?! Perfect for a day at the beach! This outfit would be perfect for a shopping day off the ship! You can't go wrong with a black maxi! This would be perfect for dinner! I basically have all my outfits planned out already! I'm SOOOOO excited! :) Can you tell?! I so need to get out of this cold weather too!!! Ahh if only we could schedule a cruise to and be out of here for a couple days! I love all your outfits you put together, especially the black maxi. I need to get one, it seems like a must have!!! Great picks! I love that beach chair! I'm so jealous you get to get out of the cold! It's freezing where I am!! 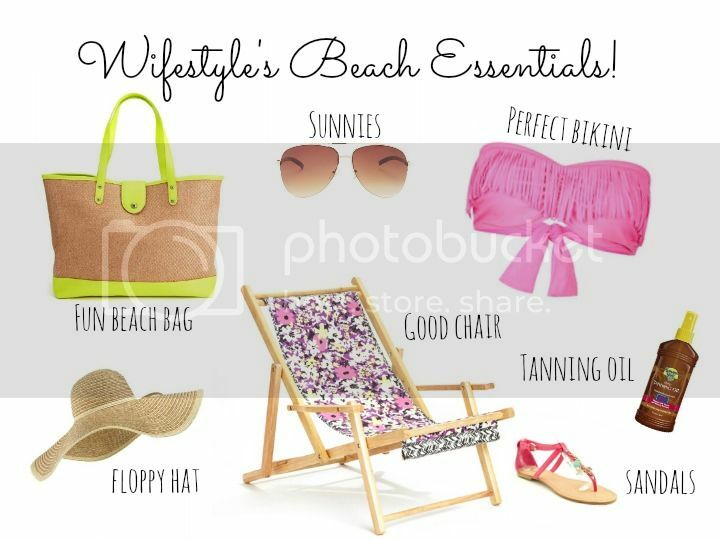 I love all of these, but I especially need that beach chair, bag, and sunglasses in my life! I just got back from a week in Punta Cana yesterday and maxi dresses are the best piece a girl can own! I love that yellow beach bag. Where is it from?